Co-Editor with Amanda Leigh Lichtenstein. 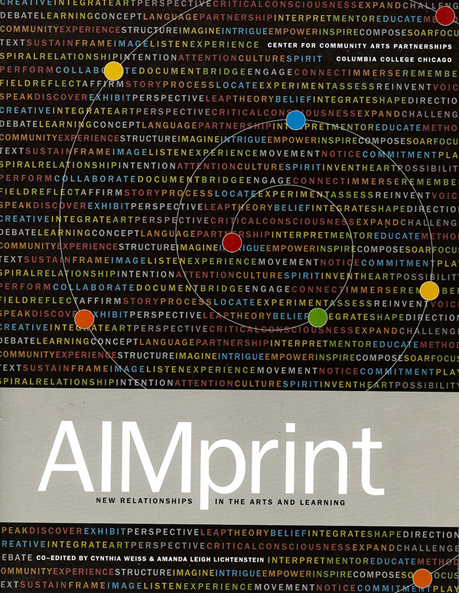 AIMprint: New Relationships in Arts and Learning outlines the nationally renowned Project AIM model through essays, curriculum samples and sample unit plans. 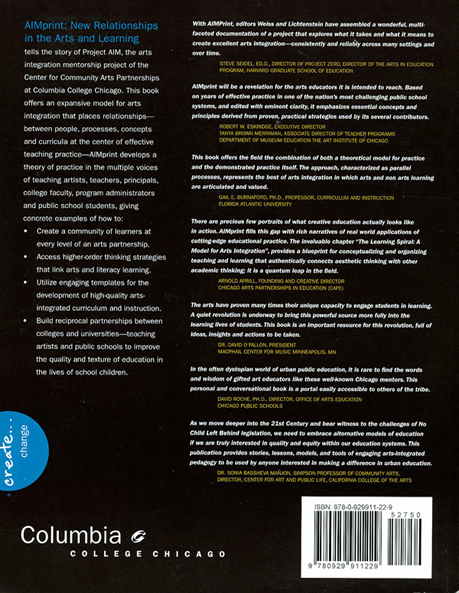 AIMprint provides rich perspective on the field of arts integration.